I’m happy to report that user experience is alive and well in Bulgaria. 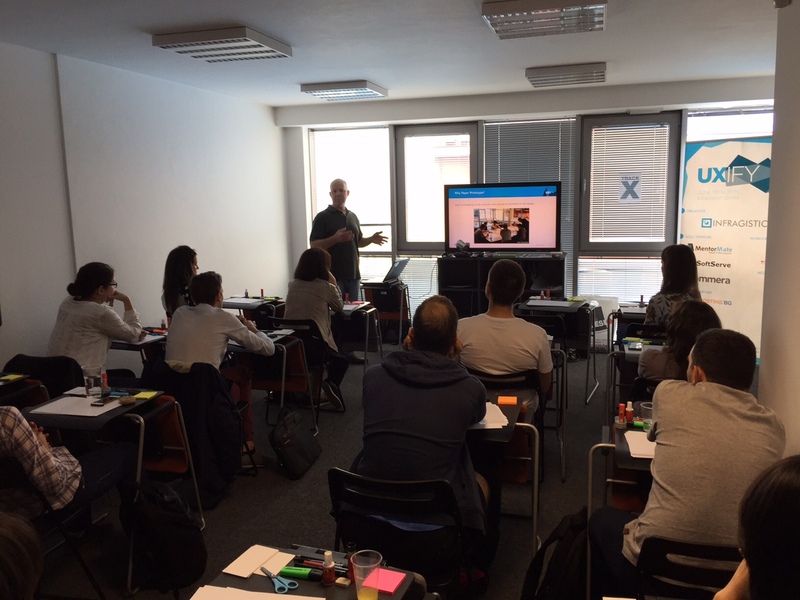 I just got back a week ago from attending and presenting at UXify 2015 in Sofia, Bulgaria. A very enthusiastic audience of over 300 people attended a day of presentations, followed by a day of in-depth workshops. UXify was the end of a month of user experience events – UX Month Sofia. On Friday, June 19th, I presented User Research in the Wild, a presentation about visiting people in their natural environments to observe their tasks. In addition to being a how-to guide, I covered common problems you face in conducting field studies and how to solve them, and how to overcome obstacles to field research. On Saturday, June 20th, I gave a workshop on Paper Prototyping to about 20 attendees. After an introduction to creating paper prototypes and how to test them, the participants divided into groups to create their own paper prototypes. We only had a limited time to create them (about 40 minutes), so I was very surprised by how detailed and creative their prototypes turned out in such a short period of time. Each group of two people then joined with another group to take turns conducting usability testing on their paper prototypes. Each group did four rounds of tests, switching roles, so that each person was able to experience the role of the facilitator, “the computer,” and the participant twice. The attendees really seemed to have a good time, with a lot of laughing and joking around. In between my own presentations, I attended several interesting presentations about dashboard design, gamification, socially responsible design, and ecommerce user experience. It was a fun trip, and it was nice to meet a lot of similar people, in another culture, who are similarly committed and enthusiastic about user experience.